So, I have personally always been a fan of everything ‘spa’ meaning anything that’s relaxing as well as great for your health and wellness, sign me up! Very, very, recently I began working at my new job, Breathe Easy. Now, what the heck is that you might be wondering? Well, it’s a dry salt therapy spa! 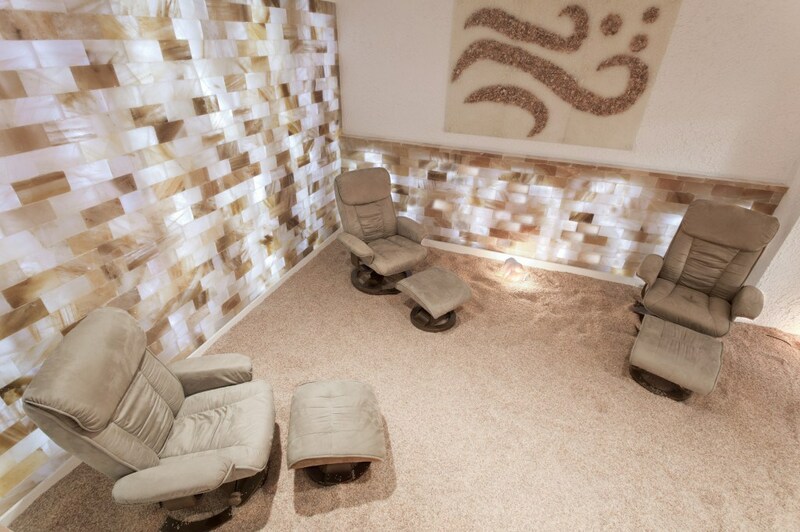 Dry salt therapy is holistic. drug free, natural way for adults and CHILDREN to help detoxify their lungs, skin, and improve their overall wellness! What’s also great about this therapy is the salt is natural! It’s antibacterial, anti-inflammatory, antiviral, and antifungal! 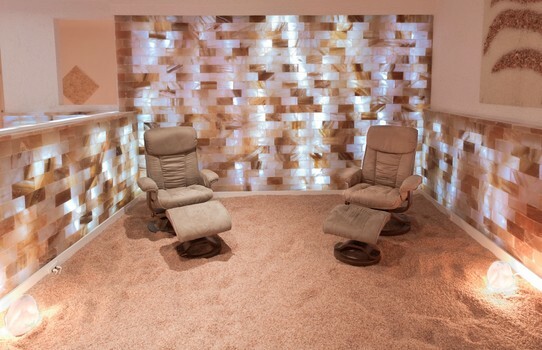 The salt room itself is as sterile as a hospital! REDUCED STRESS AND IMPROVED MOOD! Personally for me, I wasn’t totally sure if I believed in this aspect of the treatment. However, I thought, ‘you know what, I am constantly under SO much stress, I might as well just give it a shot.’ So, I did…and while I was sitting back in the COMFIEST chair on earth, listening to serene music, and taking deep belly breaths full of the salt, I noticed something. I noticed my heart rate was slowly but surely calming down, I felt like I was in my own little escape. I didn’t have a care in the world at that point. It was the most peaceful 25 minutes of my life and I’m not just saying that just to say it. Another bonus when it comes to this? Our clinic is not just limited to adults. We have a kids room for your young ones who have been constantly battling asthma among other health issues! So, where can you go to enjoy this bliss? Well there are a few locations! For my readers living around/near Katonah: 200 Katonah Ave, Second Floor, Katonah, NY, 10536. Phone number is: 1-914-232-5600! WE ARE NOW OPEN SATURDAY AND SUNDAY FROM 10-6! It is $35 for one session that lasts 25 minutes but sticks within you for 3 days! CALL NOW or book your appointment online at www.breatheeasyusa.com! If you have any questions at all about how it will benefit you or help to improve your health, please, feel free to call ANY of these phone numbers and ask! It’s definitely worth a fair try! Plus it’s SO inexpensive! You can’t beat $35 for improving your health. I hope that you do truly give this a shot and I hope this helps you with anything you may be going through right now! Previous Can Long Distance Love Last? Next Top 10 Greatest Halloween Movies Of All Time (That Are Suitable For Children)!